Kegs 4 Kause is a unique, recurring event created by Payette Brewing as a means to give back to the community on a weekly basis. Every Monday evening, 50% of proceeds from beer sales in the Tap Room are donated to a featured Idaho non-profit. Learn more and apply here. Payette has featured hundreds of organizations in the Tap Room and donated tens of thousands of dollars through Kegs 4 Kause. Payette Brewing is actively involved in helping our community and we want to support those who do the same! Payette Forward IPA is Payette’s annual philanthropic effort and largest monetary contribution to the community. Payette Forward IPA is brewed in October and released on tap across Idaho in November. A large portion of proceeds from sales of this IPA are donated by Payette and our partners at our Idaho distributorship, Craig Stein Beverage, to a selected Idaho non-profit. With this being our largest annual donation, the Payette Forward applications are to be filled out by interested organizations and physically mailed to Payette. Applicants are encouraged to include thorough detail and examples of what they do and what this opportunity would mean to them. Payette employees come together to select the non-profit with values we admire and appreciation for the work they do for our community now, and in the future. Below are the non-profits Payette has donated to over the years through Payette Forward IPA. PAYETTE FORWARD ipa: 2018 APPLICATIONS ARE NOW OPEN! Interested in applying? Know of an Idaho non-profit you think should check this out? Before applying, please read the guidelines to ensure you are eligible and keep note of the upcoming dates. Organization must have current 501(c)3 status and proper documentation from the Internal Revenue Service. Applications without letters from the IRS stating designation numbers or other 501(c)3 organization will be disqualified from consideration. The organization must be based in our home state of Idaho. The organization must help the community on a regular basis. Applications OPEN: Available to view and download here. Applications CLOSED: Applications must be mailed or delivered to Payette Brewing Company no later than 5:00 pm on this date. Applicants notified of final decision: All organizations that submit an application will be considered equally and notified of our decision on this date. Press Release sent out by Payette to community members and Idaho media. Selected non-profit will be asked to include a quote and encouraged to also send to the release to their friends, family and supporters. Payette Forward IPA available on tap! The beer will be available at Payette Brewing’s Tap Room and start hitting bar and restaurant taps across Idaho. Selected non-profit will be encouraged to help us thank those that carry the beer! Payette Forward IPA RELEASE PARTY: Party at Payette Brewing’s Tap Room to celebrate the beer and the organization! Payette Brewing team, Craig Stein Beverage team and members from the non-profit will attend and the community is highly encouraged to come try the beer and support the incredible organization! The beer will be on tap across Idaho! The goal is to increase awareness on the organization’s initiatives and supply the community with a delicious beer that results in a significant donation! Idahoans do the drinking, Payette does the donating. 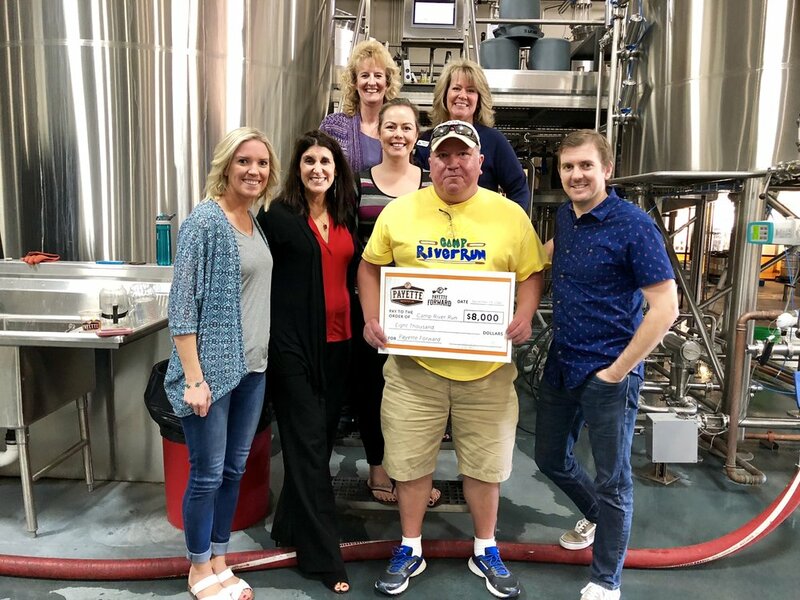 When the donation dollars are ready, Payette will ask the selected non-profit team members to come to the brewery to receive their large check and take a photo with the Payette team! Emailed applications will not be eligible and any that arrive after 5:00 pm will not be considered. Please do not feel limited to written responses. Any and all creative answers (that are mailed) are welcome and encouraged. If your application includes extra materials such as photos or videos, those need to be included with the application via printed copies or saved on a USB flash drive, which will be returned after the application review process. Please do not email attachments, we appreciate when the extra materials are included with your physical application.